Are authors gods or indulgent monomaniacs? This roman a clef from the renowned editor and head of esteemed New York publisher Farrar, Straus and Giroux takes an amused and amusing swipe at the not-so-distant past of the world of letters, but is underpinned by a commitment to the business of wordsmithery even if experience asserts that all writers do not deserve an abode on Mount Olympus. Its hero/narrator is Paul Dukach, a parvenu in the publishing world, but a lifelong devotee of literature, encouraged from the start by the kind indie bookshop owner Morgan for whom he worked weekends as a teenager. It was Morgan who introduced Paul to the work of landmark American poet Ida Perkins – the muse of the title, whose writing shapes the story, such as it is – after which he never looked back. Like many in the book world, Paul started with a passion for words and worked his way up, in a peculiar, old-fashioned and clubbable industry, arriving eventually at a position of some responsibility although probably not so much cash. 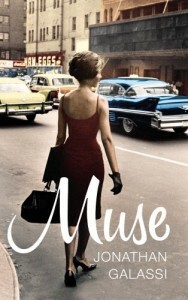 Paul’s yearning to understand Ida’s work, his fealty towards his larger-than-life, testosterone-fueled boss Homer Stern, the rivalry between Homer and WASPy Sterling Wainwright who publishes Perkins – all these elements push the story along, to an eventual encounter with the great woman herself, living in self-imposed exile in Venice. 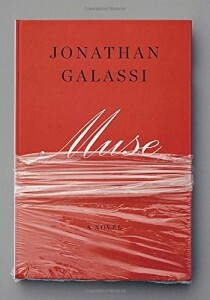 But the story is only a means to an end in this thinly-veiled portrait of established writers, publishers and literary agents, some not so very far from Galassi’s recent Union Square doorstep. 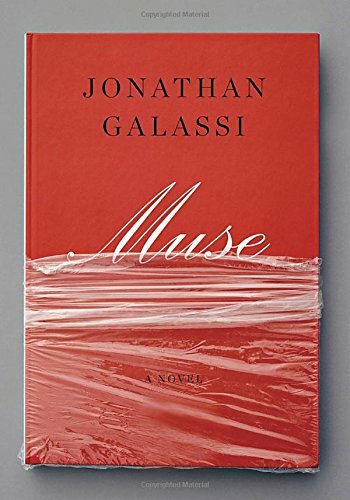 Galassi is busily paying a kind of homage to the state of early-twenty-first-century, pre-digital publishing in New York, in a love story and state-of-the-nation overview replete with withering portraits of its players, behaviors and rituals, notably the Frankfurt Book Fair. Aided by his visit to Ida, Paul ascends to a publishing pinnacle, and even finds a lover, a man who works for Medusa (read Amazon) and who knows nothing of Paul’s bookish heroes. But the questions about writers’ importance and publishers’ neediness still unsettle Paul and he eventually leaves the business to write, poacher turning gamekeeper. Galassi here opts for a thin resolution that’s less fun or energized than the satire that has gone before. Nevertheless, this is an elegant, witty, informed jeu d’esprit of a novel – see Ida’s bibliography at the end for an obvious example of how much fun the author had assembling it – and one that will probably be relished most by those who can identify the lightly-concealed industry luminaries who populate it. For everyone else, it’s a vibrant if introverted snapshot of one particular anthill, nevertheless an important one for those who believes that words matter, that content isn’t king and that if authors aren’t gods, perhaps some of them still deserve to be worshipped.